The FHN Judy and Virgil Bocker Cardiovascular Center at FHN Memorial Hospital in Freeport is a multipurpose, all-digital lab enabling FHN to offer its patients complete cardiovascular care and support in one centralized location close to home. Our state-of-the-art imaging system allows physicians to see the vessels and anatomy of the heart, as well as the finest vessels all the way to the fingertips. FHN also offers a variety of comprehensive diagnostic services. 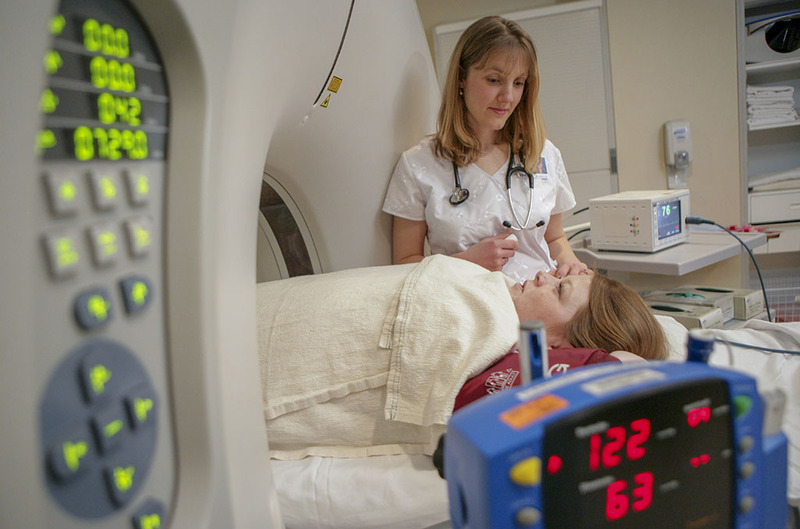 Our state-of-the-art combined CT scanner and nuclear Gamma camera allow us to offer more convenient cardiac stress tests for our patients and our vascular lab uses non-invasive diagnostic technology with no dyes, x-rays or needles to visualize veins and arteries and determine the best course of treatment for any blockages or other issues that are discovered. Our services include exercise and pharmacological stress tests; EKG; echocardiogram; carotid studies; and a 30-day event monitor. When it comes to cardiac care, you need outstanding technical expertise and access to state-of-the-art technology. But you also want the kind of personal care and attention that only comes when providers have true passion for their work. At FHN, we believe it's important to give you both. Our providers put their whole heart into the task of helping your heart be as healthy as possible. Our award-winning cardiac team offers interventional procedures including pacemaker, defibrillator, angioplasty, and stent placement. We provide comprehensive care, screening for any controlling risk factors, diagnosis and treatment and aggressive follow-up care. Listen to Diane Bardell, RN, Cardiac Services, talk about Cardiology Services on the Dial-a-Doc radio program.